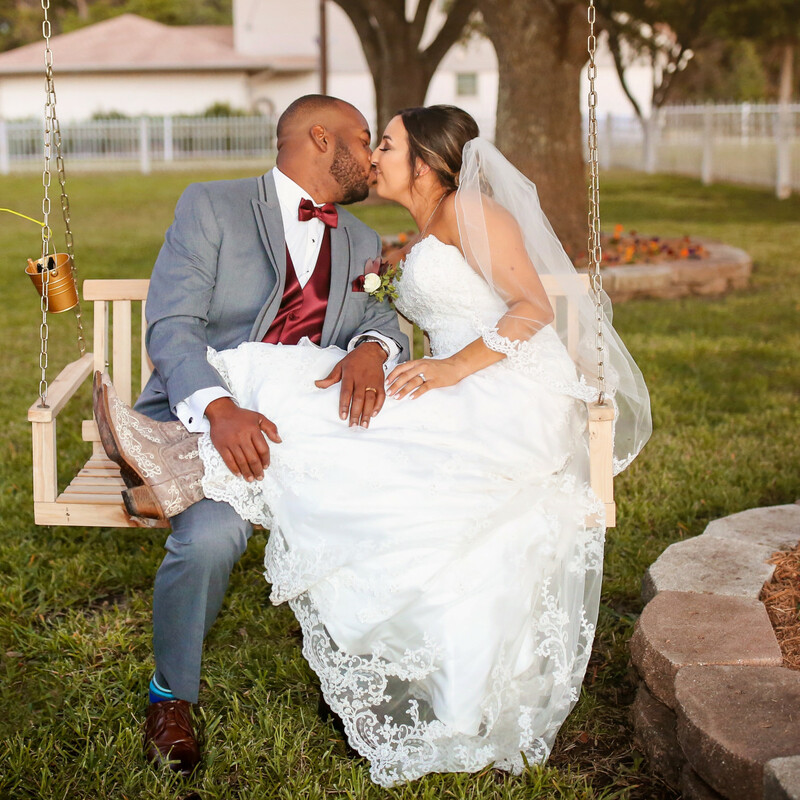 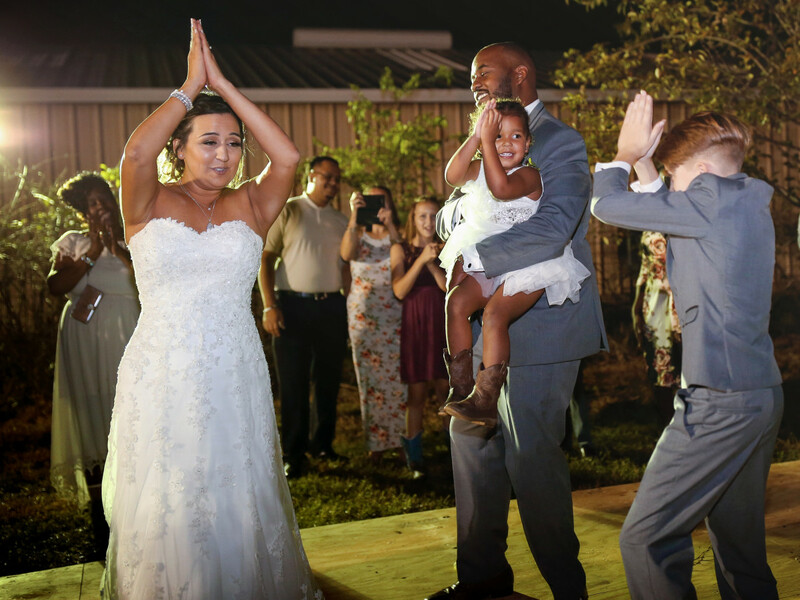 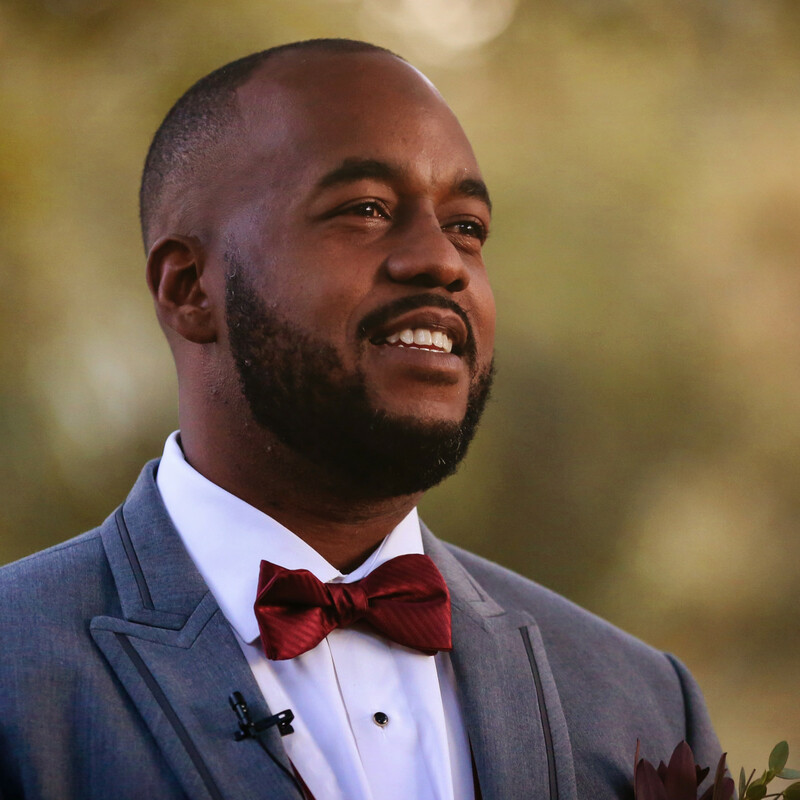 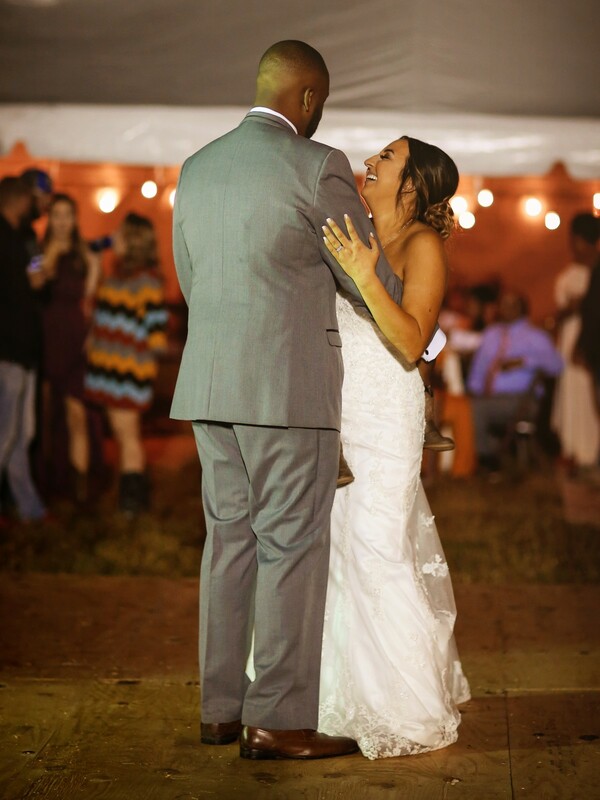 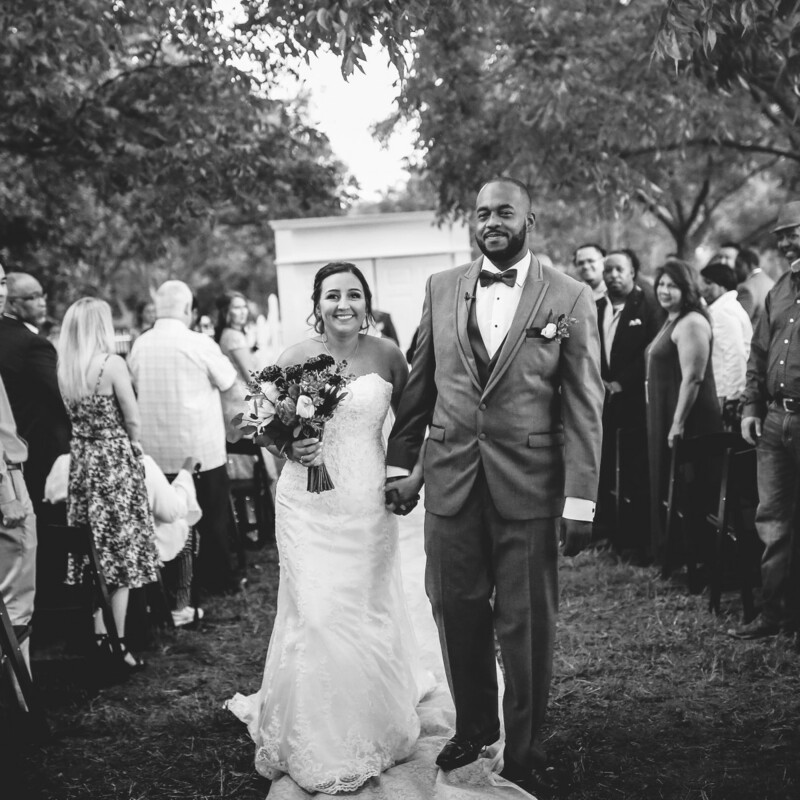 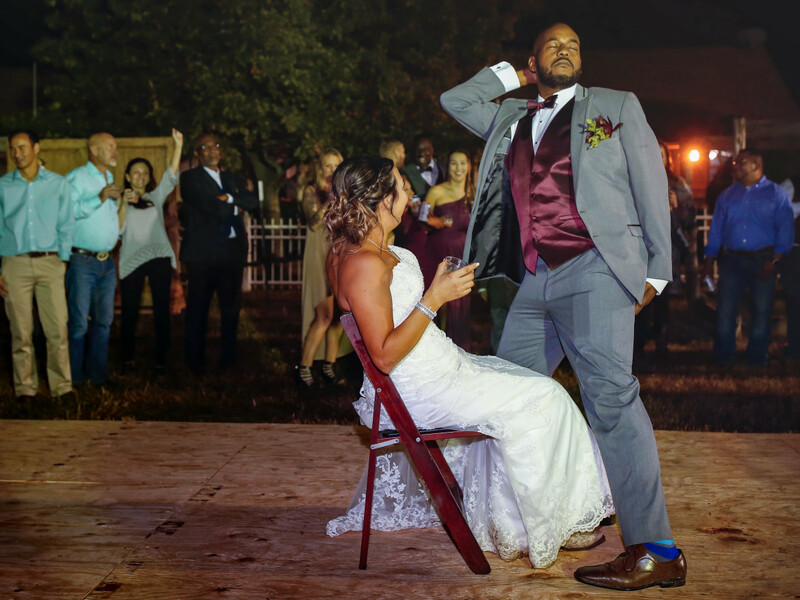 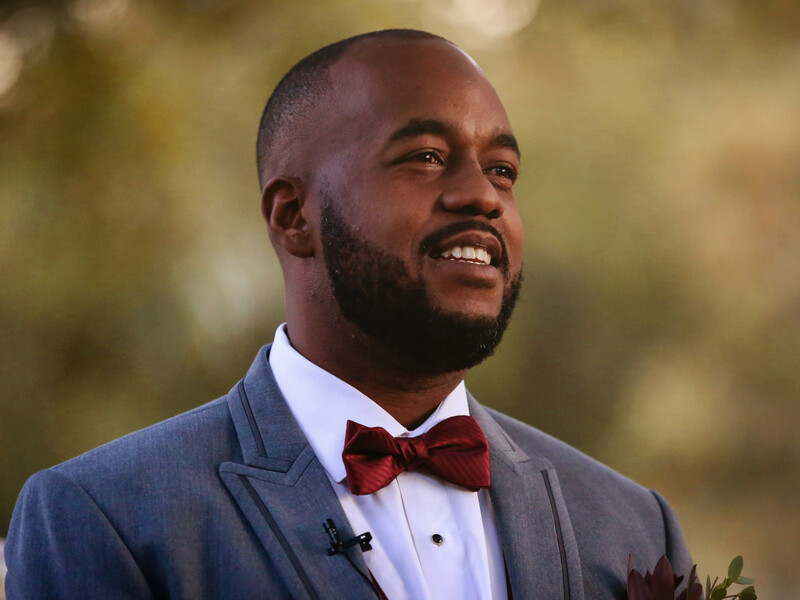 Ashley and Kiethan Lewis like to joke that they “did things all backwards.” The couple met through a mutual friend more than a decade ago, and though they took their time getting to the altar, they fulfilled many of their dreams on the way there. 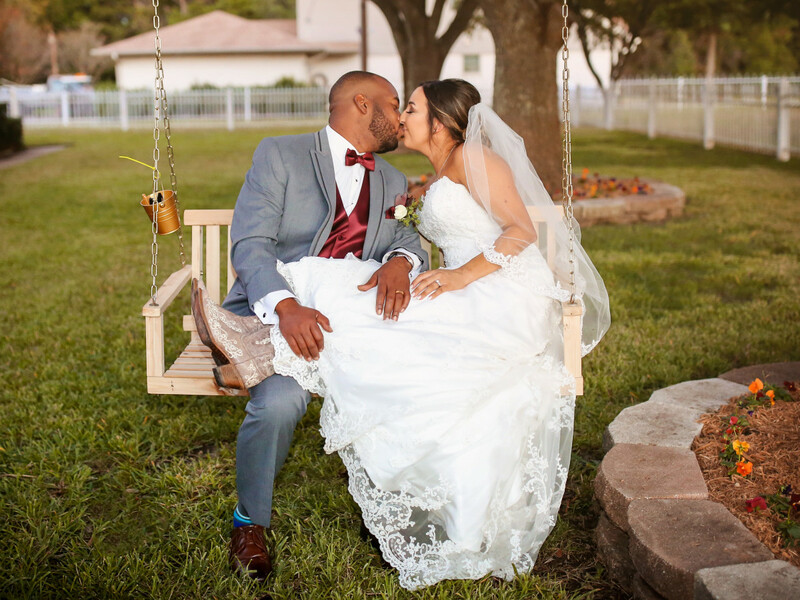 The couple’s favorite story to tell is the one of their engagement. 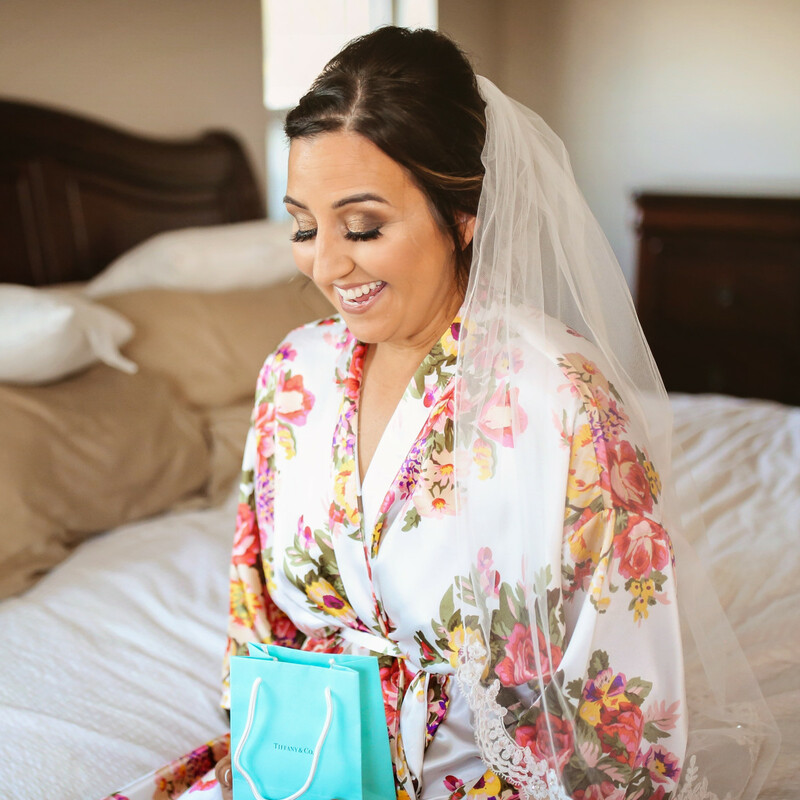 What started as a typical day date — Starbucks, go-cart racing, and lunch at Maggiano’s Little Italy — shaped up to be a day to remember, when Kiethan dropped to one knee in the middle of the restaurant with a Tiffany & Co. box in hand. 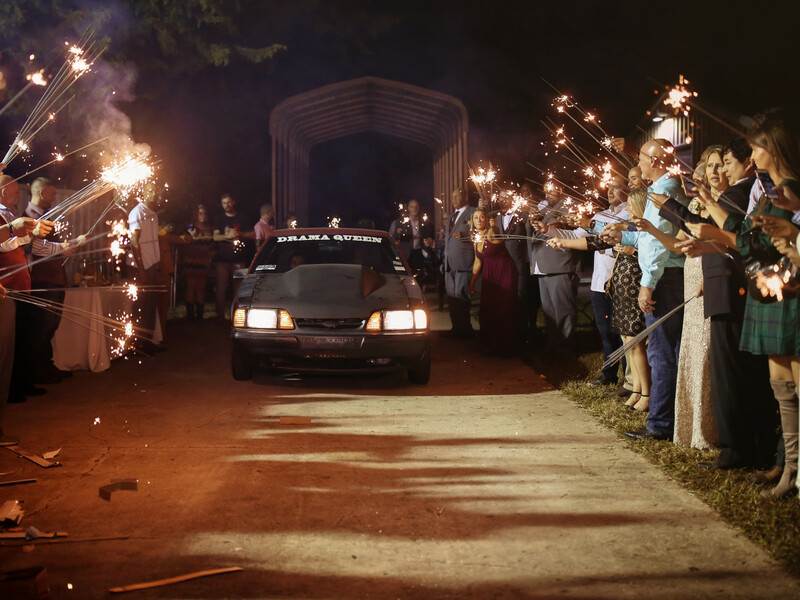 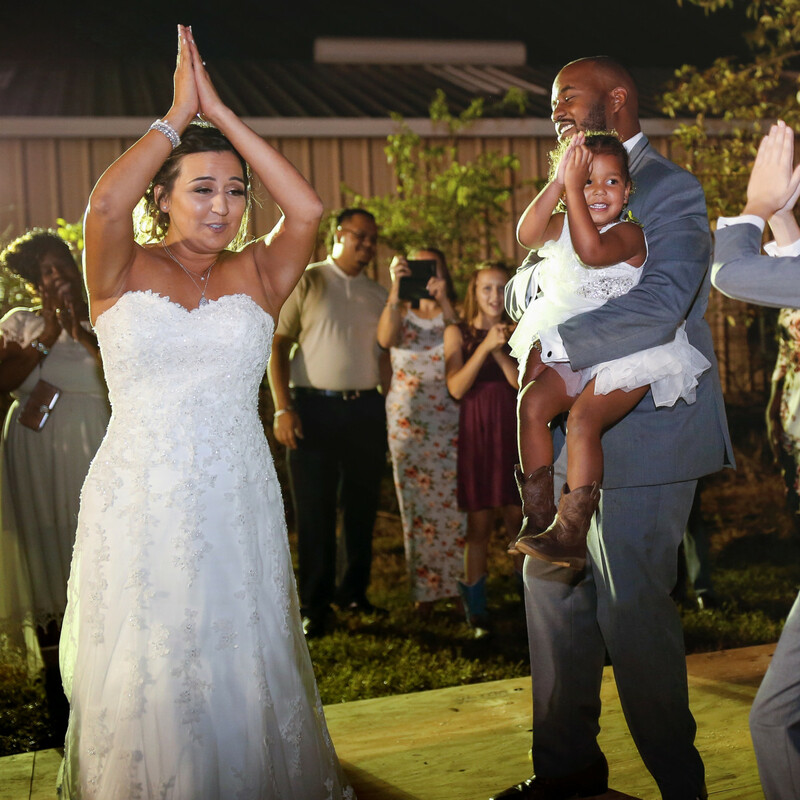 With a picture-perfect proposal in the books, the couple began planning their October 27, 2018 wedding. 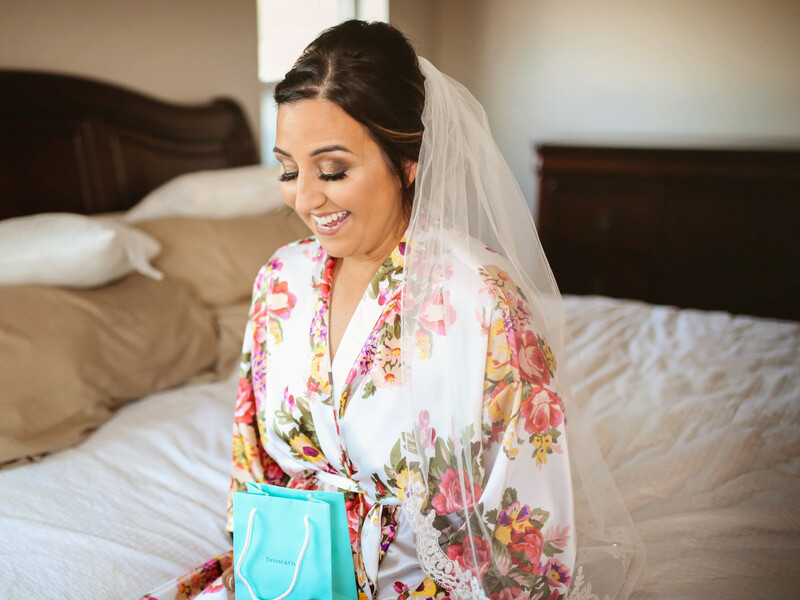 At first, the bride-to-be envisioned something glitzy and glamorous. 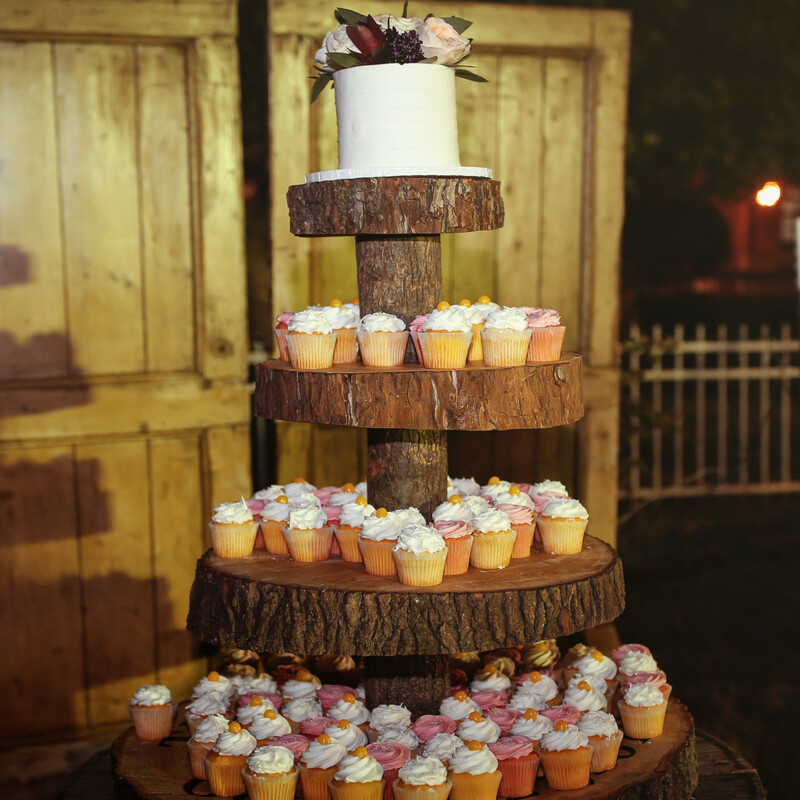 But as time passed, she decided rustic and simple were more her style. 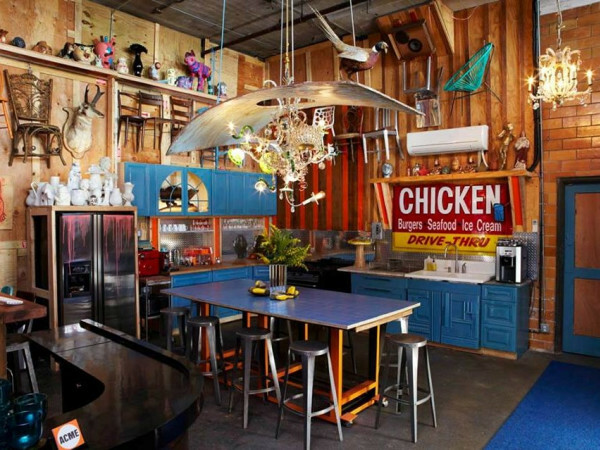 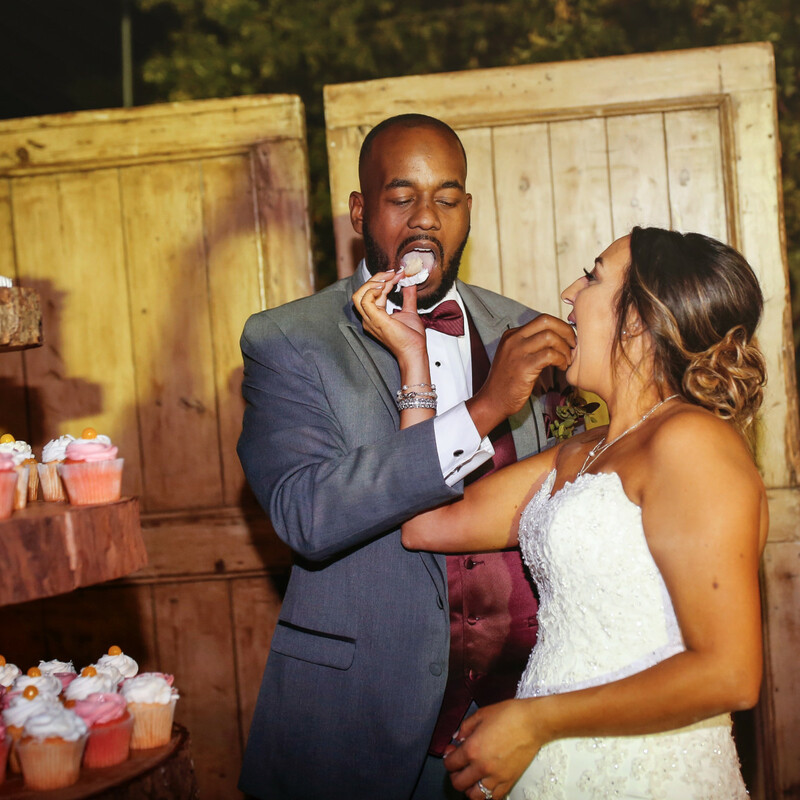 A good DJ, tasty comfort food, and a top-notch bartender topped the couple’s list of priorities. 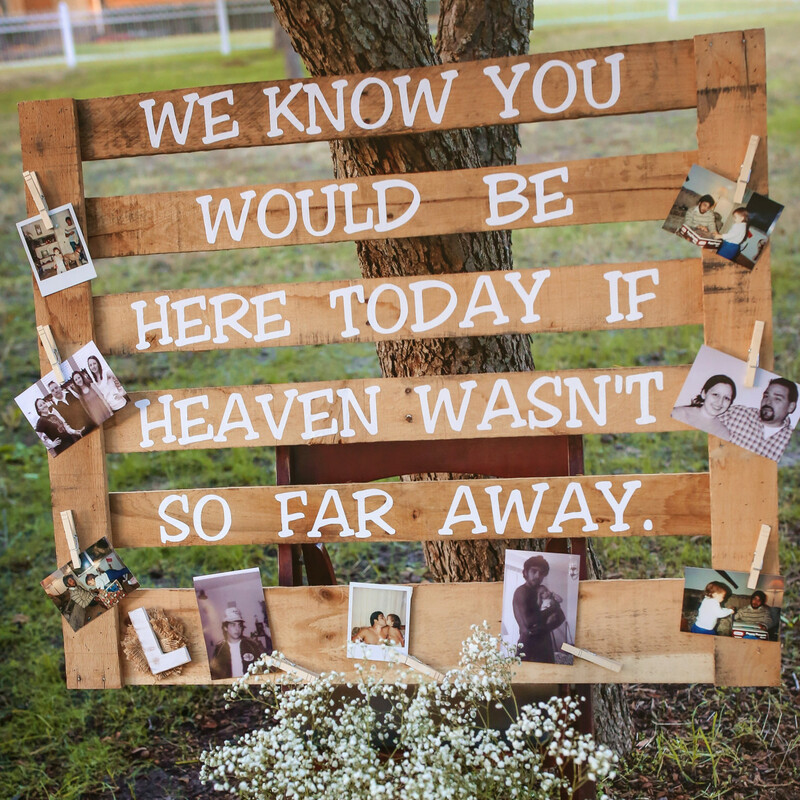 The rest was all just details. 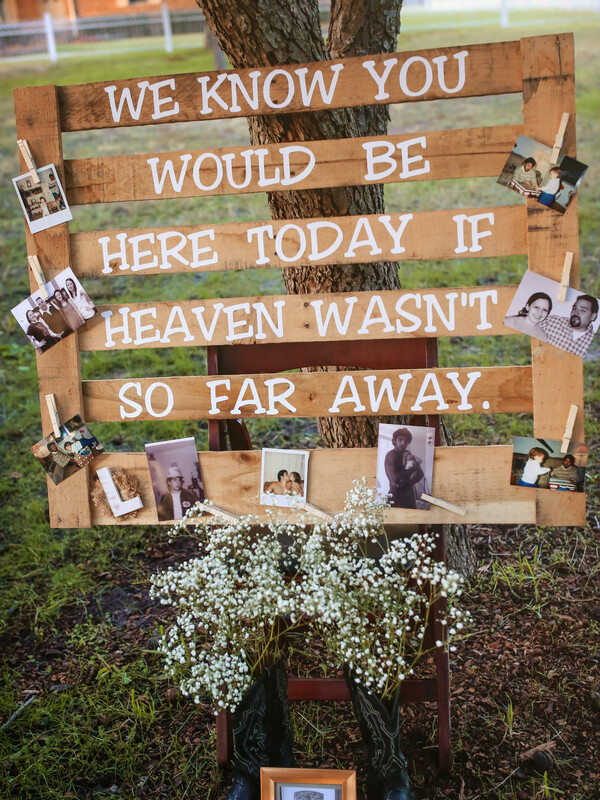 And did they ever. 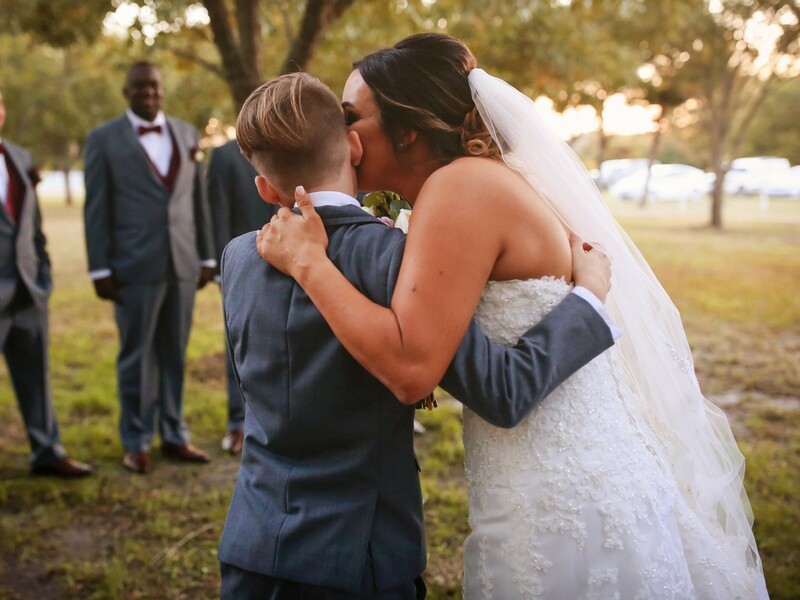 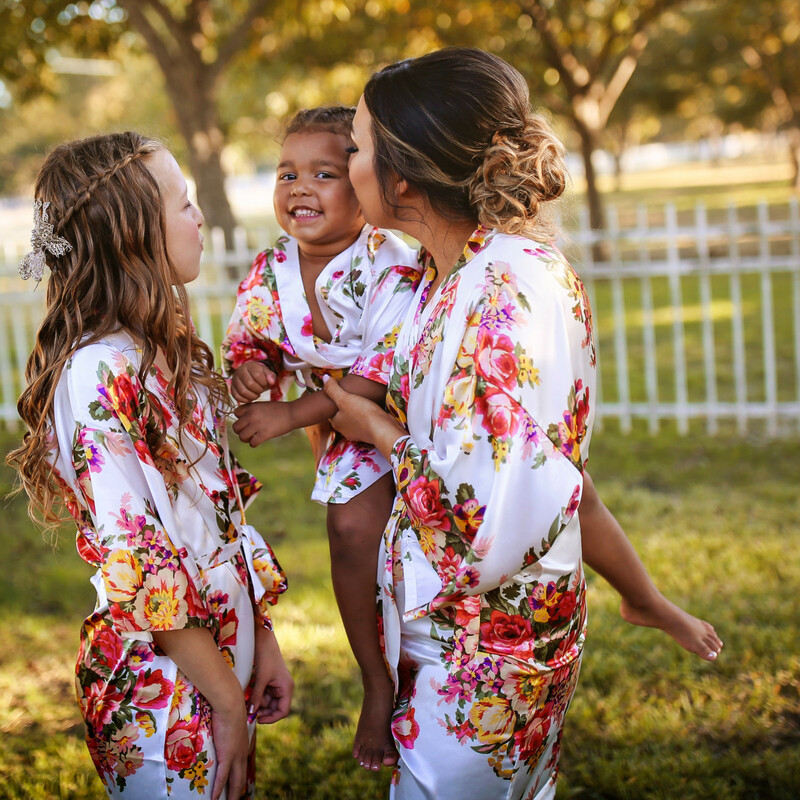 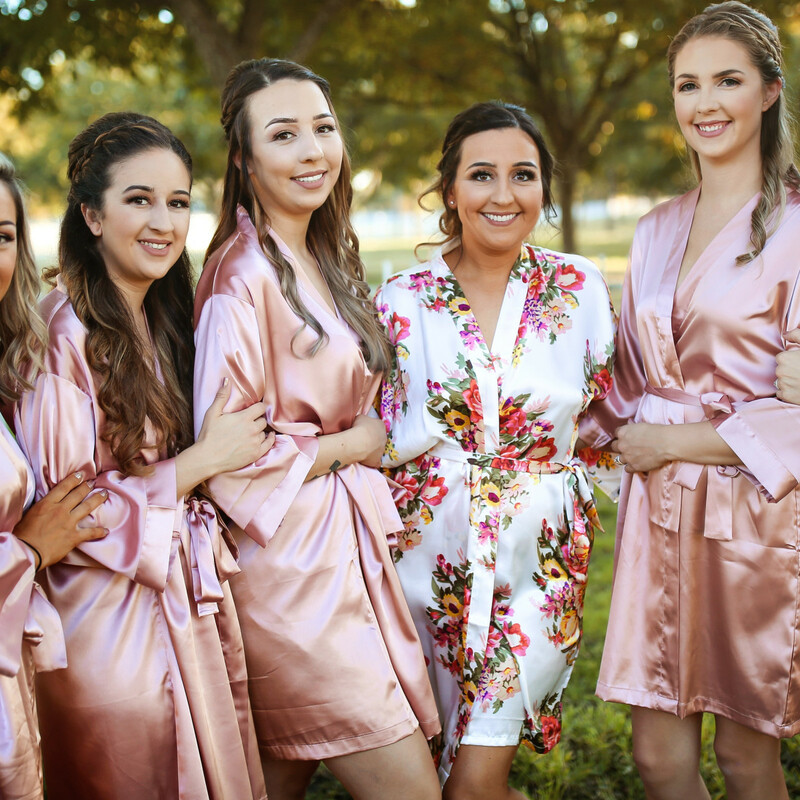 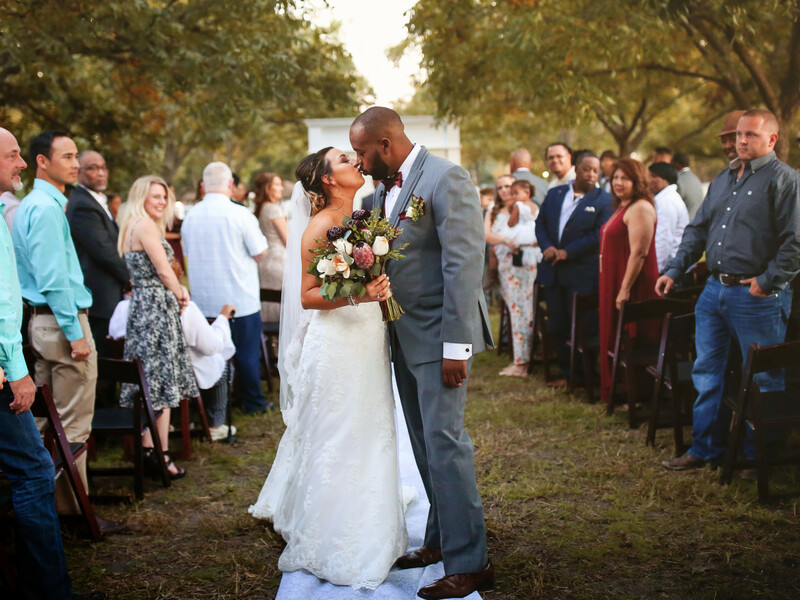 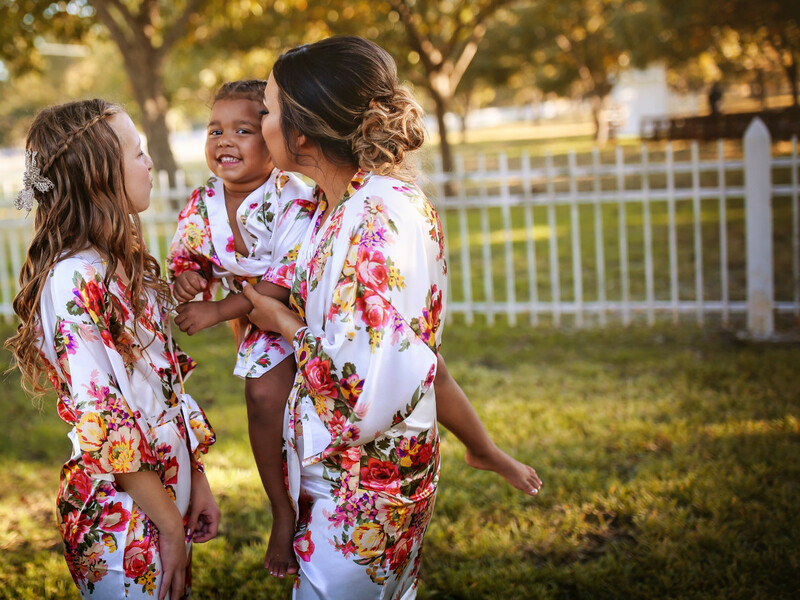 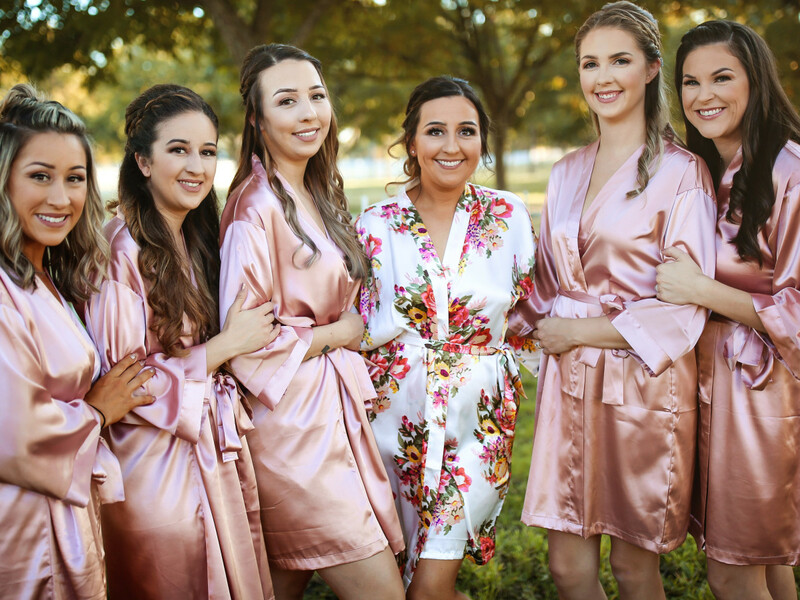 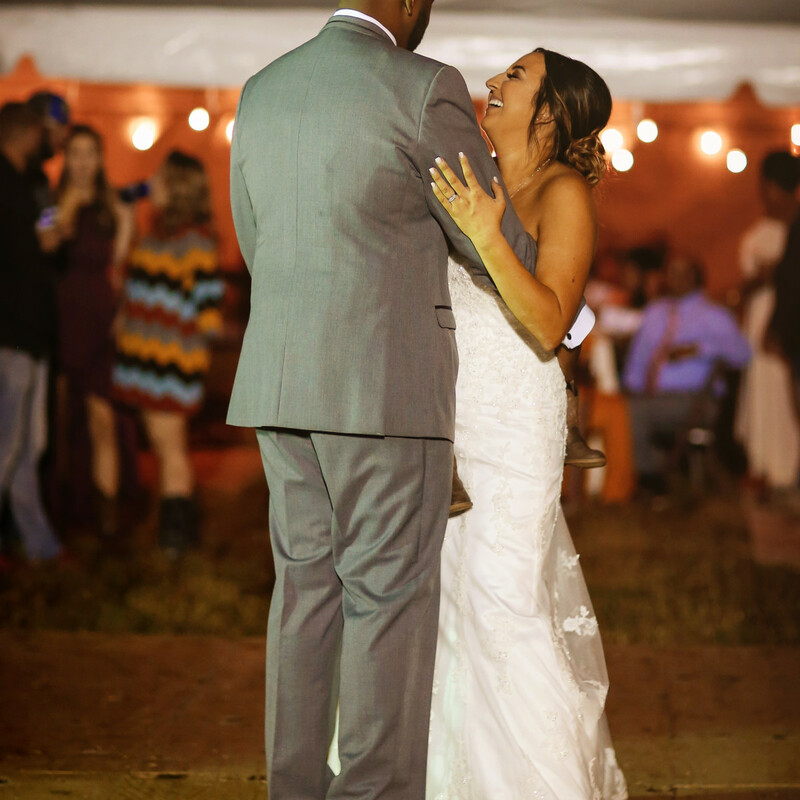 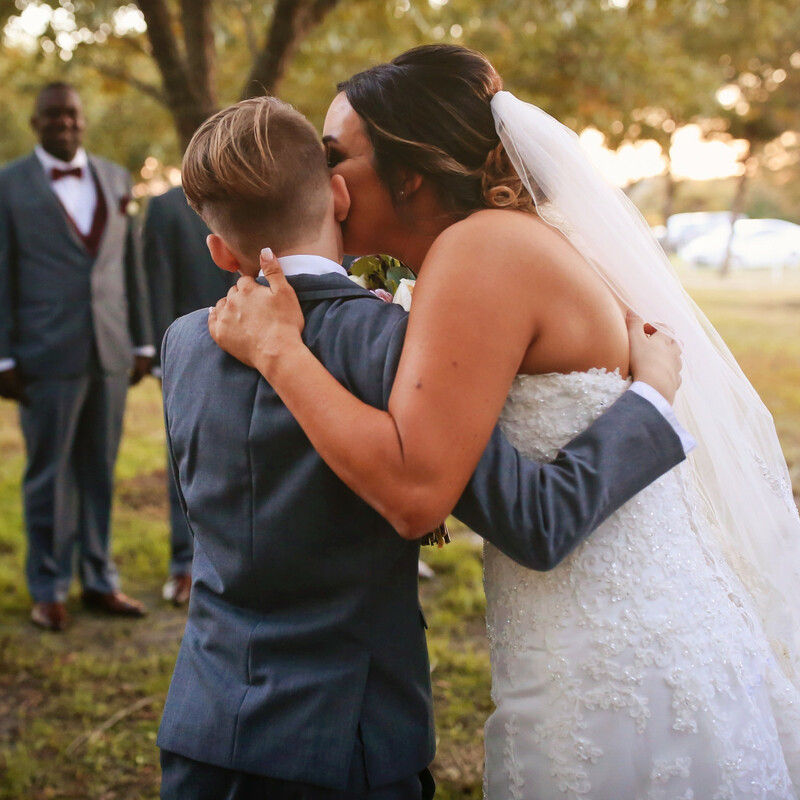 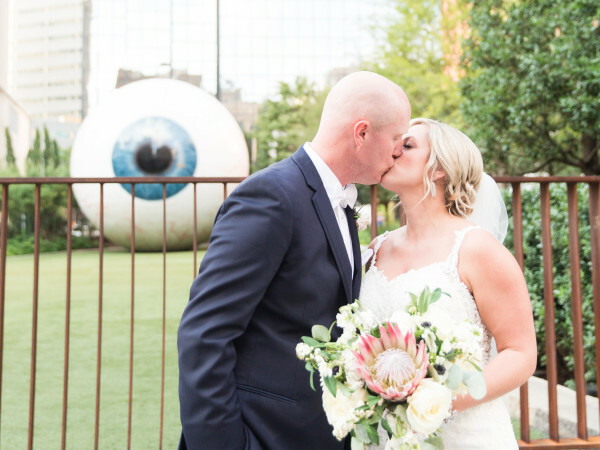 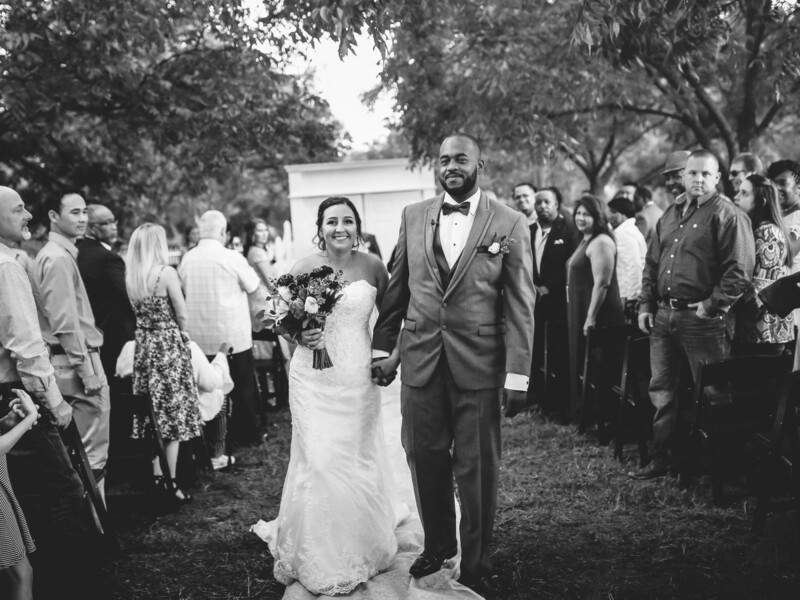 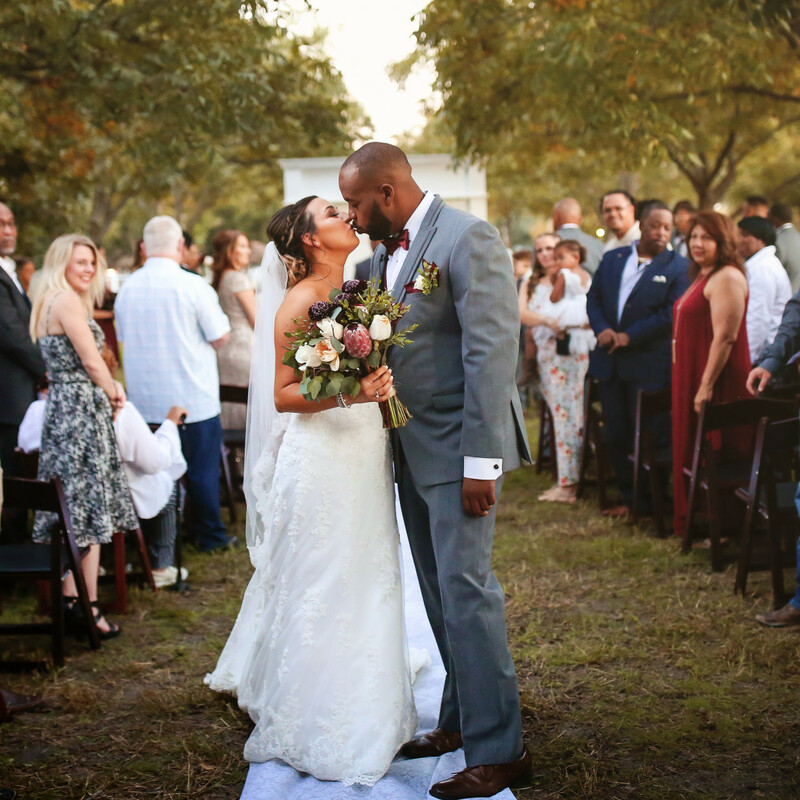 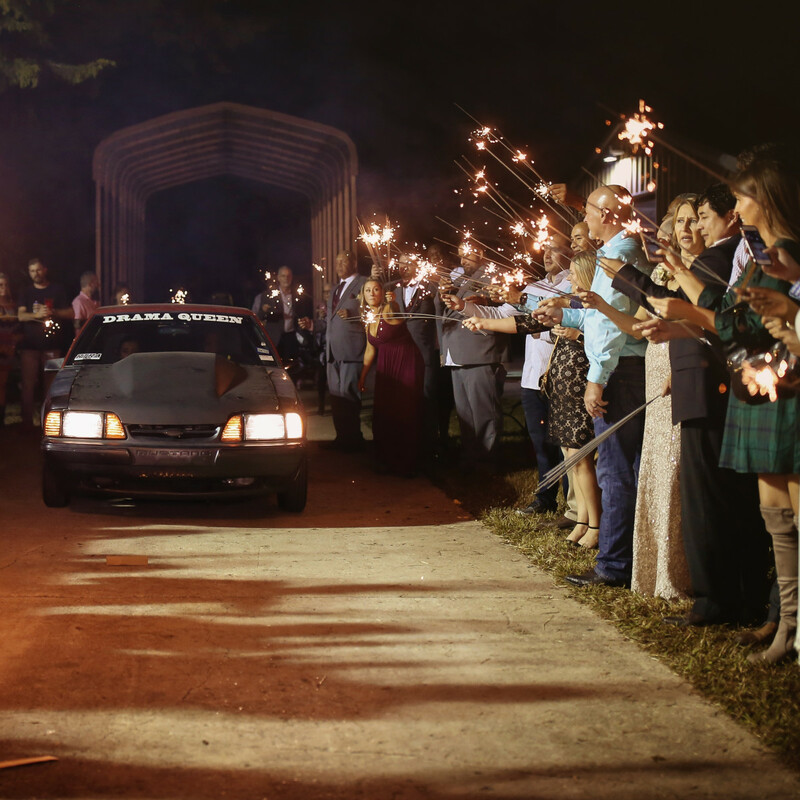 Wanting an intimate, comfortable setting for the big day, the couple hosted the wedding in the backyard of their very own home, just outside of Dallas. 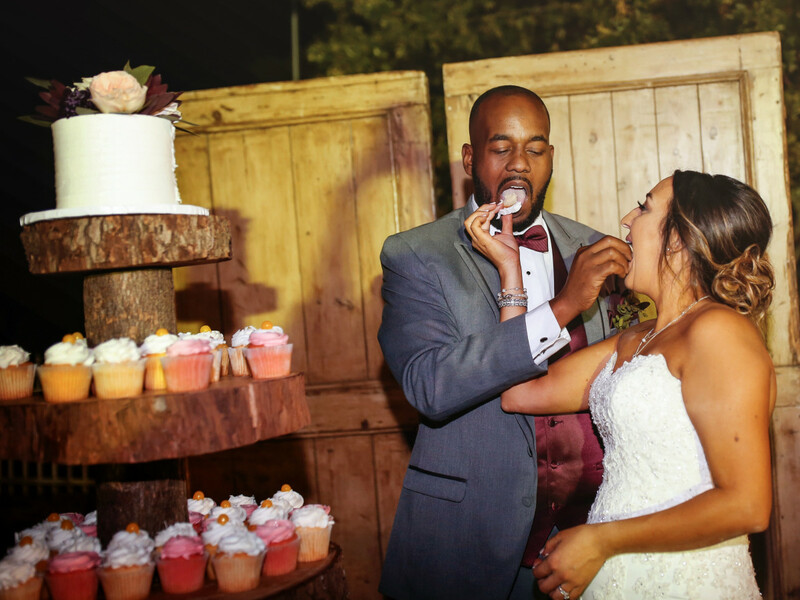 Comfort food was served up by Baker’s Ribs, and DJ Smooth with Any Event Productions kept the crowd entertained. 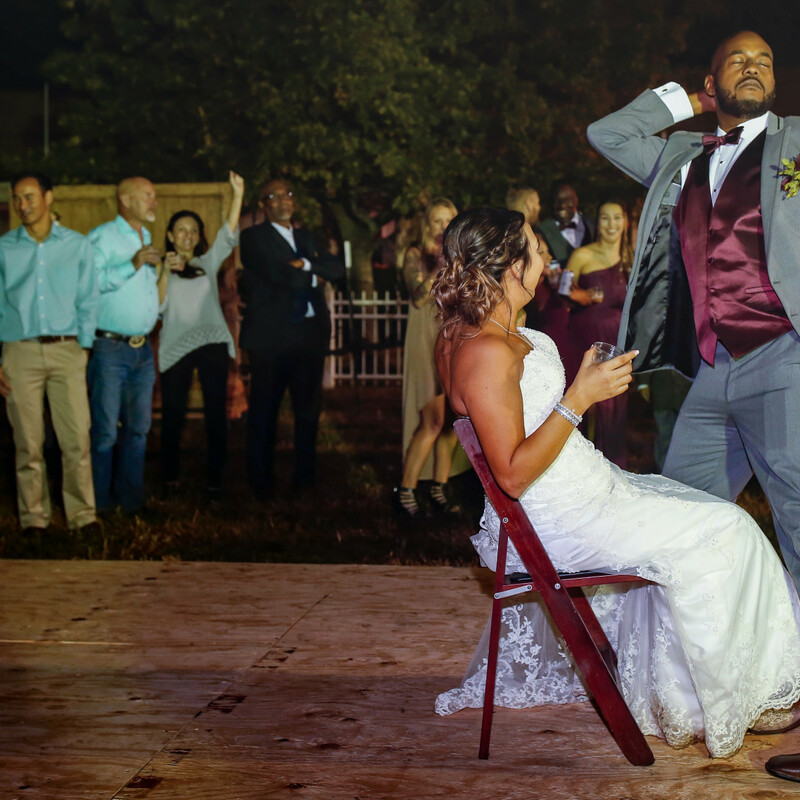 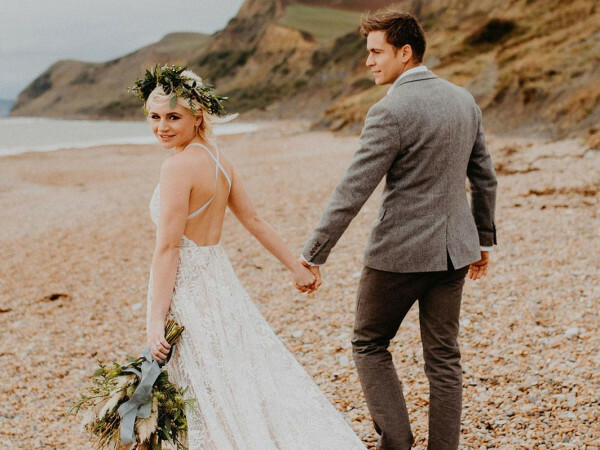 “Guests are still talking about how much fun they had,” the bride says. 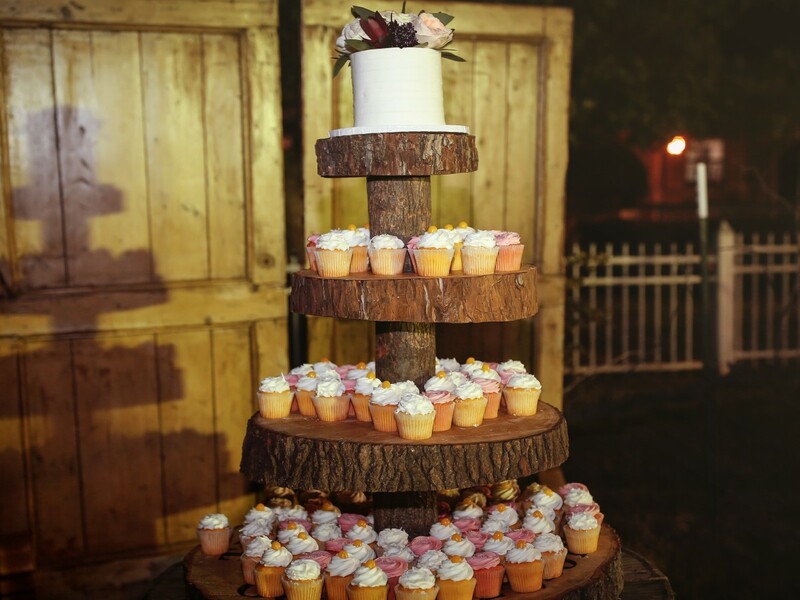 Family and friends chipped in with special touches that made the day all the more memorable, from a custom cupcake stand created by a family friend to photos of the bride with her late father, which were collected by bridesmaids.